BLAH BLAH OF THE MIND: Daadi Amma Maan Jao! Do you remember this classic number? Trust me people, blessed are those who have not one but two sets of parents, pampering and supervising, overseeing and looking after them, every step of the way. The second set of course being doting grandparents. I'm one of those lucky grandkids who had the fortune of having her Aaji (grandma) around till she was well above 80, and Ajoba (grandpa) till he turned 89. You know there's a local saying, that if your children are milk, grandchildren are the cream on the top. And believe it or not, but that's how the Aaji-Ajoba treat their grandkids. We were completely spoilt and sheltered by them. Of course, the strict dad ensured that the laad-pyaar didn't get into our heads. I have very fond memories of Aaji. She was my second mom. Mom was a working woman, so we'd spend loads of times with her. Back from school, to be welcomed at the door by - Aaji! In need of a tenner for a secret snack treat. The Jeannie - Aaji! A card game stuck for the lack of a fourth partner. The Knight in shining armor - Aaji! Critical study times. The Supervisor - Aaji! Food craving at unearthly hours. 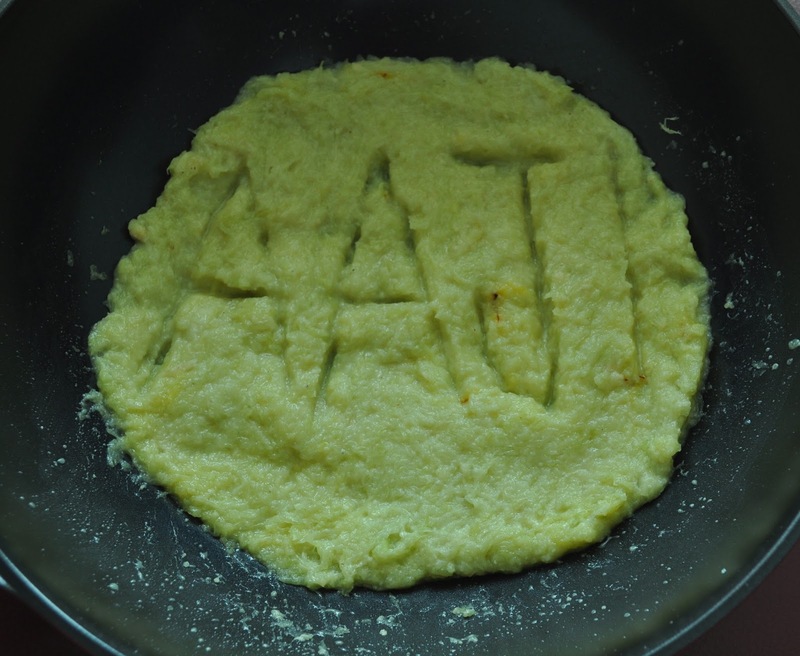 Chef to the rescue – Aaji! She was a fab cook to say the least. And I wish I had jotted down her recipes to the t, somewhere. Yes mom knows many of them, but even there are a few lost along the way. Plus the added magical touch she would lend to the food, that ain't coming from anywhere. Again, a significant part of the pampering that I mentioned earlier, was never letting us step our foot into the kitchen. We were to focus on study and careers, and things like cooking could happen when the time was right (which in my case turned out to be post marriage). I understand only now, how I missed the opportunity of getting trained under a Masterchef I had right within the confines of my own home! But of course, apart from being a grandmother, mother, a wife, a socially active neighbor, she was how can we forget a woman! And so naturally, like many of the world’s certain population, she had moods to be caressed by others. And at such times, she would just shut out the other person. As silly kids, who are on the brink of adolescence, the things that I mentioned above unfortunately tend to slip from our minds. We are so self-occupied and busy in our own world, that we end up taking our loved ones for granted. I loved my Aaji to bits. And even if I didn't, my dad would've never tolerated rude behaviour in the house. He would've straightened us up immediately. But I guess I never really looked at her like she was an old woman, she was more like a friend, and that would lead to arguments and back-answering at times. Had my crazy friend been around today, even a simple plain dal-rice cooked by me would've made her proud and super-happy. And on a day when she would be sulking out of anger, I would've coaxed her into giving in, with these comforting homely Daadi Amma Maan Jao treats. At her age, the Sugarfree Natura twist on the traditional dishes would’ve been just perfect, satisfying the taste buds, and yet being surprisingly healthy! In a heavy saucepan, boil the milk and reduce to half. In a separate pan, take ghee, and once hot, add grated doodhi. Fry for a few minutes, and then add the reduced milk. Once the milk reduces further, add mawa. Add Sugarfree Natura, once the liquid evaporates. When almost done, add saffron and cardamom powder. In a heavy saucepan, boil the milk and reduce to less than half. Keep collecting the cream along the way and retaining it in the vessel. Add Sugarfree Natura, once the milk has almost reached the required level. PS. The post is Sponsored, but absolutely not fictional. The experiences, feelings and opinions are my own. Truly an emotional post Leena. Am not as lucky as you, becauss my grandparents left before i took place on earth. Your love for them is really praise worthy, very few in these days are treating grandparents as their friends, ofcourse it's because of your dad's love & regulations. Hi Leena, what you have written about grand parents love and care (pampering) is absolutely correct.. We get to see so many examples on daily basis. But, I am not there in the list!! so sad to say that Leena.. Love to get such experiences though..
Grandparents are pure joy to have around. A very nostalgic post! What a heart warming post, Leena. An emotional bonding with grand parents that make us fondly remember every single moment in life. About the contest, never sure of any foodies contest, blame it on my cooking skills :). Just participated for fun! Thanks Sujata! Made me nostalgic even when writing about it. Awww...so sweet Ananya. Welcome to my blog! Leena..I can feel the sweetness of the dessert because of the secret ingredient called aaji..these memories of bonding can be cherished for a lifetime and grandparents are indeed allrounders! My grandmother was able to cook excellent food until she was 82. I guess I've been lucky to eat food made by her for so long. Grandparents have a license to spoil their grandkids! My father spoiled me but with my daughter he is unbelievable! Thanks a ton Meera! They do pamper us irrespective of anything, isn't it! Very sweet post here. Thanks for sharing.